The Sarnia Sting had a busy three-in-three weekend. Busy scoring goals, that is. Sarnia outscored their opponents 17-4 over three games in what was one of the more dominant weekends the team has had in recent memory. On Friday night, the Sting hosted the Mississauga Steelheads. From beginning to end, Sarnia was in total control. Through one period the Sting were ahead only 2-0, but exploded for six goals across the remainder of the game. Jordan Kyrou finished the game with a goal and three assists; Brady Hinz had a goal and two assists; and Hugo Leufvenius had a goal and two assists. Sarnia took the game by a final score of 8-1. Catch highlights of the game in the video below. 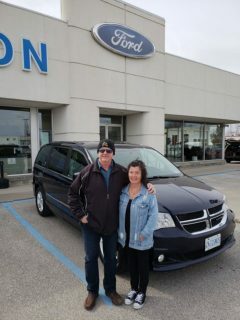 On Saturday evening, the Guelph Storm paid a visit to Progressive Auto Sales Arena. Much like the Steelheads the night prior, the Storm didn’t have a great time. Franco Sproviero had a huge night for the Sting. Sproviero scored two outstanding shorthanded goals and also mixed in an assist. The hometown native of Sarnia has been stellar on the penalty kill to start the season. Check out his spinning shorthanded goal below. WATCH THIS: Spin-O-Rama Sproviero scores shorthanded! Cameron Hough scored his first OHL goal and also had a spirited fight with Guelph defenceman Mark Woolley. For Hough, it was certainly a memorable night. 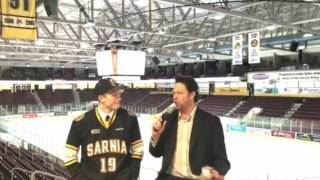 Sarnia took victory over the Storm by a score of 6-1. On Sunday, the Sting looked to finish out their weekend with a win against the Windsor Spitfires, and once again proved victorious. It was much closer than the previous night, with Sarnia taking this one by a score of 3-2. However, it was a game controlled by the Sting for the majority of the afternoon. Brady Hinz had another big game for the Sting, scoring his eighth and ninth goals of the season. They moved Hinz up to second in league goal-scoring. Aidan Hughes was tremendous in goal, making big-time saves throughout the game. Take a look at a real pretty passing play between Sean Josling and Leufvenius that was finished off by Hinz. The three-win weekend could not have gone much better, and it vaulted the Sting into first place in the Ontario Hockey League. 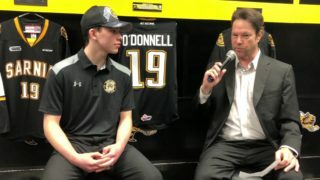 Ryan McGregor spoke with YourTV Cogeco’s Terry Doyle about his summer, his experience being drafted by the Toronto Maple Leafs, and what he’s looking forward to this season. 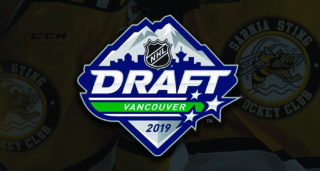 Hayden Hodgson signed an AHL contract with the Lake Erie Monsters. Brent Sullivan served as head coach for the CIS Ottawa Gee-Gees this weekend. Peter Di Salvo has joined the SPHL Fayetteville Marksmen. The Sting face another challenging three-in-three this week. On Thursday, Sarnia will hit the road to North Bay. The Battalion have a 3-3-2 record this season. North Bay is led by Cam Dineen on the back end and Luke Burghardt up front. Justin Brazeau and Adam McMaster have also got off to solid starts for the Troops. The next night, Sarnia will be in Sudbury for a Friday night matchup with the Wolves. Dmitry Sokolov is an offensive force for Sudbury, whose rosters also boasts former Sting forward Troy Lajeunesse. To complete the three-game weekend, the Sting will make a stop in Barrie on Saturday evening. In their first matchup of the season, the Sting took down the Colts by a score of 4-1. It should be an exciting rematch at the Barrie Molson Centre. Tickets for all Sting home games can be purchased at the box office or by clicking here.